Zoya Jelly Brites Trio Swatches and Reviews plus a Zoya Sale! Hi guys! We're back at it and it will be a short blog week for me because I'll be traveling for work. 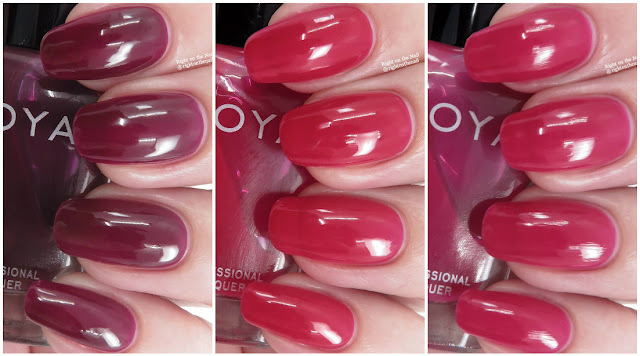 Before I do that, I wanted to show you Zoya's newest trio featuring jelly finishes. 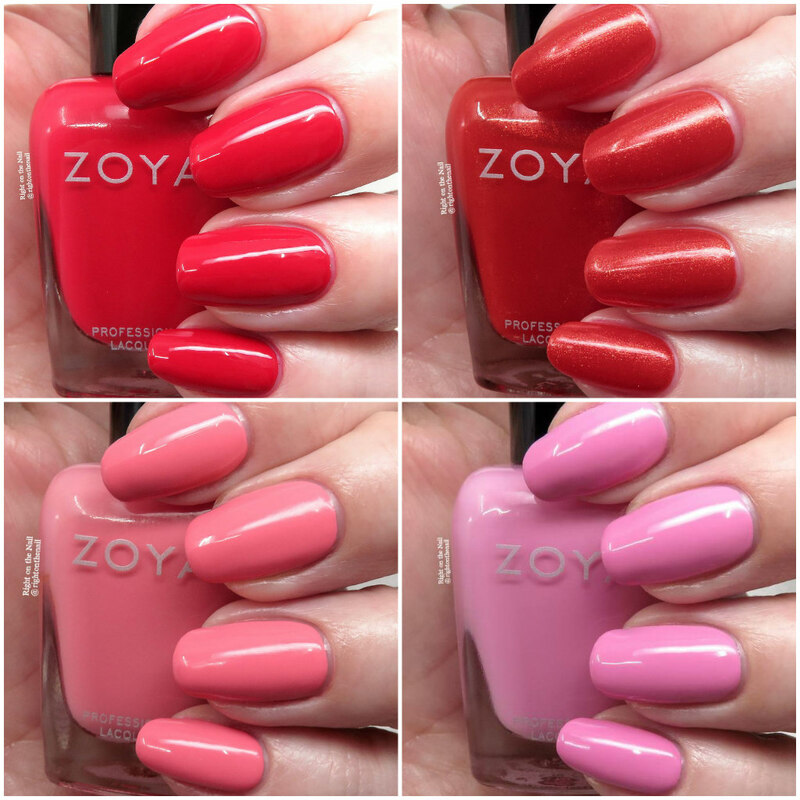 While jellies aren't my personal favorite, I appreciate Zoya coming out with different finishes. 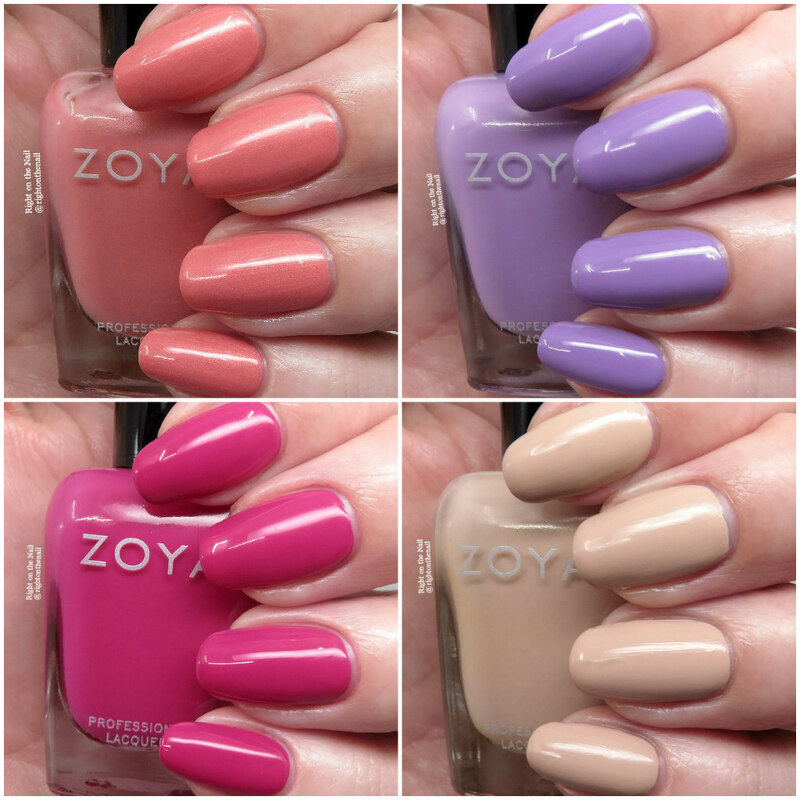 These are available now on the Zoya website, so if you see any you like, they are available for purchase. They are all sheer, but build up well in 3 coats. If you see any visible nail line, it's mostly likely due to the bright lighting and not noticeable in real life. What's great about jellies is that you can layer them with flakies or glitters to change things up. With that said, are you ready for some swatches? Hi guys! Magnetic multichrome polishes have been all the rage lately, and I'm just now jumping on the bandwagon. I've resisted all releases until Tonic came out with Jubilee, shown above. I tried my first Tonic polishes last year and I found the formula to be thicker than I preferred. They've had polishes that interested me, but I held off because of the formula. After I saw swatches from the Tonic June releases, I finally bit the bullet again. Jubilee has the same base pigment as Peacock Parade, a shade they released previously. It flashes blue/green/purple/pink/gold, depending on the angle. I had to purchase the magnet separately ($2) because this is the first magnetic polish I've used in several years. Applying Jubilee is different than other polishes. After your preferred basecoat, apply one coat and let dry for an extra minute. For the second coat, you'll need to work one nail at a time, applying one thicker coat, and then placing the magnet as close to the nail as possible for about 30 seconds. I left it over the nail as long as possible to get a good line. My nails are very curved, so I was curious how well the magnet would work. As you can see, it worked pretty well....except for the pinkie nail. For some reason the particles scattered a little more on that nail. As for the formula, I'm very happy to say that it was much easier to apply than my other Tonics. It's still slightly thick, but in a good way. I think there will be more Tonics in my future. This one is still available and retails for $13 without the magnet. I am so impressed with this one and it's such an eye magnet (pun intended). You can find out more information about Tonic on their website, Instagram, and (their extremely popular) Facebook Group pages. "The neon trio will be available for $28. There are a limited amount of sets available and they will not be restocked once sold out. There will be a few individual bottles of “Cloud Nine” and “Paradise” available due to overpour which will be priced at $9.50 each and will not restock once sold out. We will also be giving away our Polish Con exclusive “City Lights and Midsummer Nights” to anyone who purchases 3 or more bottles while supplies last. We have overpour and won’t be selling it since it was an exclusive, but in honor of our 5th anniversary we would like to share this polish with those who couldn’t make it :) There is no code necessary, it will be added to orders that qualify." Count me in! 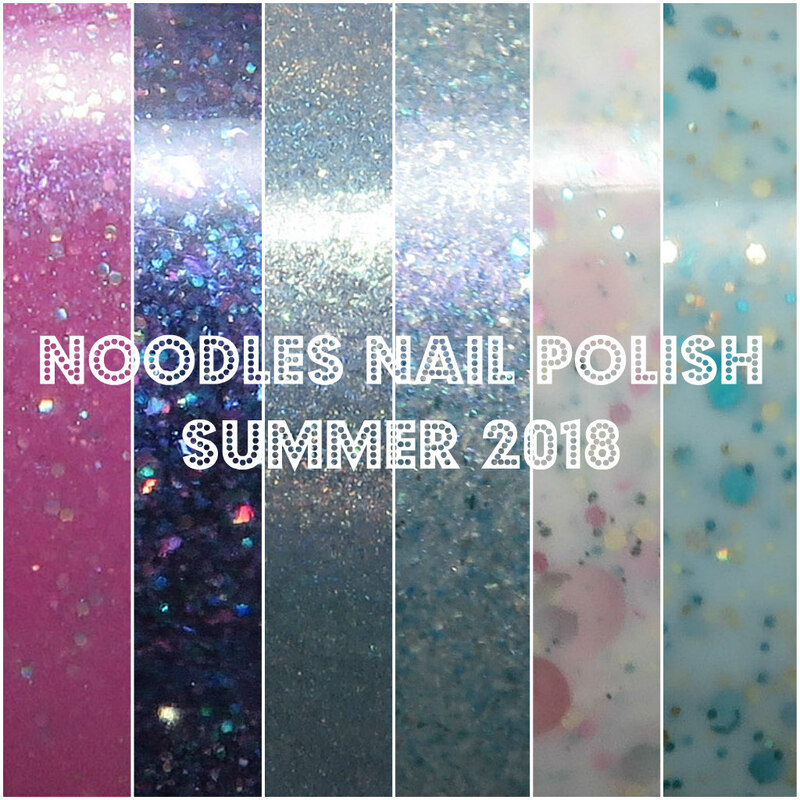 I was eyeing the Polish Con exclusives in the Noodles Nail Polish Fans group (make sure to join us for all the fun) so I'll be getting those. So the Summer Collection and Polish Con polishes will all be available this Saturday. Whew, that what a lot of text, and I hope you're still with me. I think it's time to see some pretties, right? Hi guys! TGIF! Polish Con is tomorrow, and I am so jealous of everyone who can make it. Some of my favorite brands will be there, so hopefully I'll get to make it next year. It's also a special day because it's my mom's birthday. Happy Birthday, mom! Tonight I have the final installment of the Zoya Sunshine Collection for you. This set features the 2 toppers that can be also be used on their own. Without further adieu, let's do this! Hi guys! Zoya collections tend to be large, so I thought I'd break this up into a couple parts. I know when I look at posts with too many photos I start to zone out a little bit...maybe that's just me. The Sunshine Collection recently debuted on their website, and it features 12 shades you'll be wearing on vacation this summer. Most of these are cremes, but there's a sprinkling of shimmers throughout. I'll be going on vacation for a week in July, and my husband and I are still trying to decide where to go. Any suggestions? Go ahead and hit that button to see more. Hi guys! My parents are in town! It's been awhile since I've seen them, so we're basically celebrating Mother's Day, Father's Day, and my mom's birthday all this weekend. It's always a good weekend when family is in town. Only one of the polishes I'm showing you tonight is still available. Both were on sale for $5 as a Mother's Day special which was a great deal. Radiant & Rosy is no longer $5, but it's still available to buy. 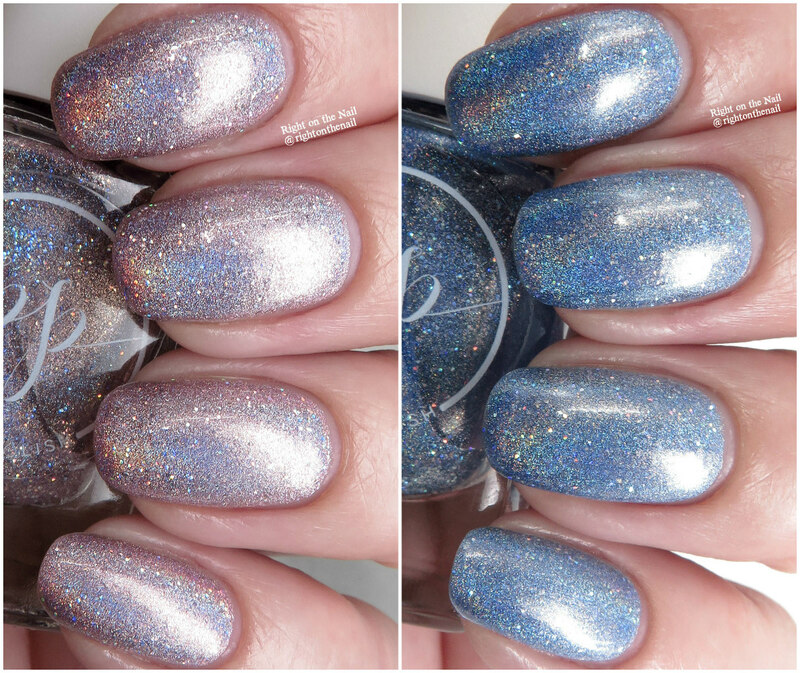 Shall we get a closer look at these crazy holos? Hi guys! Long time, no blog. I've been really busy with work lately and just haven't had the time to post anything. Tonight is Monday night, which means The Bachelorette is on. No shame, I watch it with my husband every week. I'm interested to see how Becca does this season. Unfortunately the polish I have to show tonight is no longer available, but I definitely recommend you stop by their website to see some other beautiful shades. Merci is a color from Painted Polish for Hella Handmade Creations (HHC) that I was able to snag in an overpour. Merci is a blackened base with lots of bronze flakes and shimmer with a sprinkling of holo glitter. The bronze really lightens it up, and really makes this one stand out. I used 3 thin coats for my photos, but you may be able to get away with 2 with heavier coats. It dried with minimal texture, mostly due to the holo glitters. Removal was fairly painless, even with the flakes and glitter. Although this one is no longer available, there are lots of other beauties on Lexi's website. Head on over to the Painted Polish webpage, Instagram, or Facebook pages for more information.